Create your own unique Adult letters from Santa and we will send them direct to your loved one, work colleague (or granny) anywhere in the world. 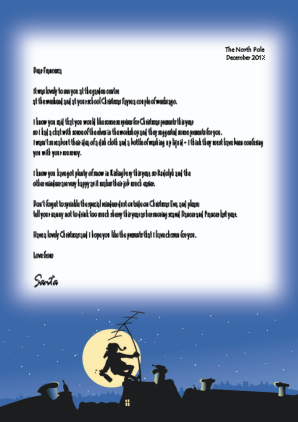 For Letters From Santa for children, please go to www.replylettersfromsanta.co.uk. All letters are created individually - by you. Simply answer a few questions and then select your content which is personalised based on your input. 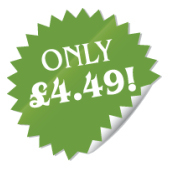 To create your adult Santa letter, just follow the four easy steps and Santa will send your letter on high quality headed, environmentally friendly A4 paper in a matching envelope. The design is exclusive to us. 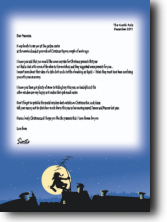 Each Adult Letter from Santa is built based on the information you provide, and you choose the paragraphs which you would like to include within the letter. Once your order has been placed, you can Track Your Letters to see when they were printed and posted out. Santa will send out his letters in the first few days of December 2019 (or within 48 hours for orders received after that) - so create your personalised adult letter from Santa now to ensure that it is received in good time. To start creating your unique Adult Letter from Santa, please click here.